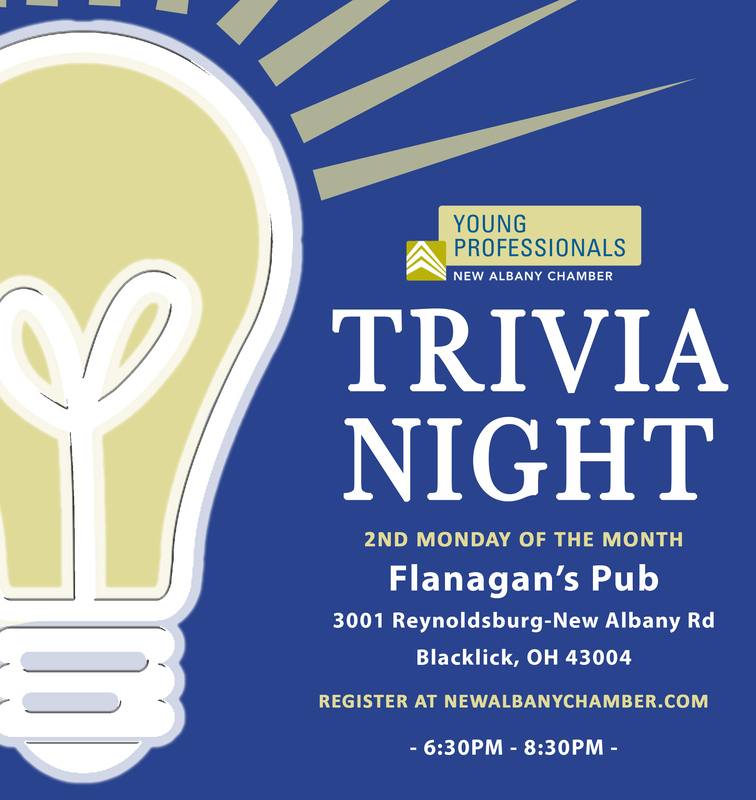 Join the New Albany Young Professionals for a fun evening of trivia at Flanagan's Pub. Trivia614 brings the party with engaging challenging questions ranging from music to geography and everything in between! Grab a friend (or 3) or come alone and meet other area young professionals. Teams will compete for prizes and the glory of declaring superior knowledge. Don’t have a team? No worries, we'll put you on one when you get there. Enjoy house specials and connect with other area young professionals. Did we mention prizes?! 3001 Reynoldsburg - New Albany Rd. Free to attend, chamber membership not required. Pre-registeration preferred, but last minute YPs are welcome too.